While upgrading to a new home can be an exciting and empowering experience, in today's real estate market it can also be extremely costly. In fact, with rising house prices and increasing mortgage rates, homeowners are finding it more affordable to keep their homes and renovate to suit their new needs. 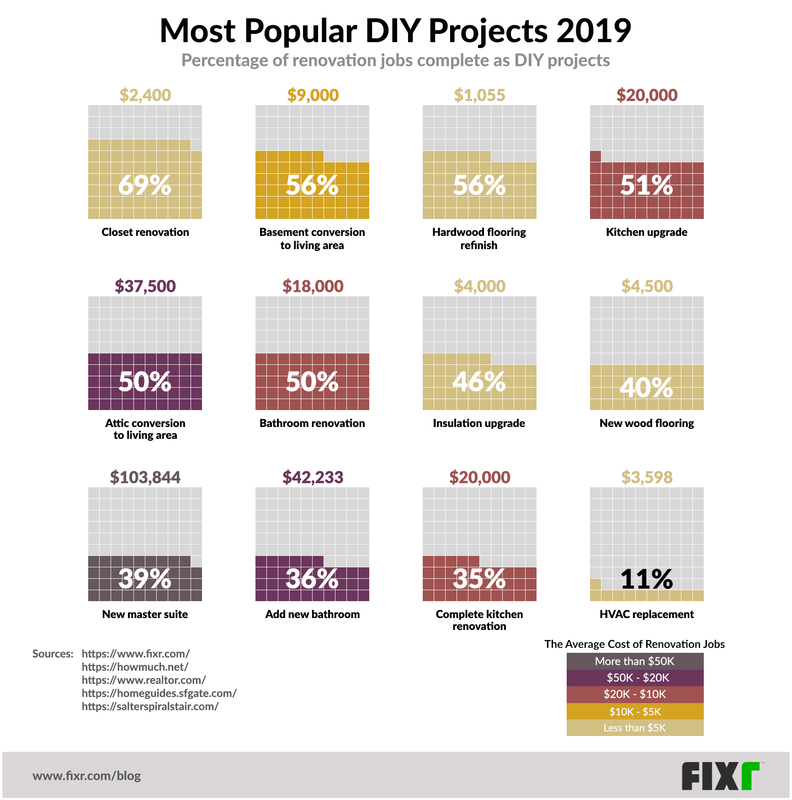 While 53% of homeowners still turn to professional contractors to complete desired renovations, the remaining 47% choose to DIY it, according to the NAR Remodeling Impact Report: DIY for 2019. While some more complex or dangerous jobs require a professional and their certification, others are perfect for a weekend project to keep you busy as Spring sets in. In the above graph, we highlighted the 12 most popular home renovation projects and portrayed the percentage of each completed as a DIY job. This was based on information from the National Association of Realtors, with cost information from several sources. Prices were based on national averages and individual costs vary greatly depending on location. Most popular were jobs that didn’t require demolition or advanced skillsets to complete. The most popular project was a closet renovation which was completed as a DIY by 69% of homeowners. Converting a basement to a living area and refinishing hardwood floors were the second most popular choices, completed by 56% of homeowners as a DIY project. A kitchen upgrade was the only other project where DIY beat professional with 51% of homeowners choosing to do it themselves. Bathroom renovations and converting an attic to a living area were split 50/50 between DIYers and professionals. The last six projects were more commonly left to the pros, with only 46% of insulation upgrades completed as a DIY project, 40% of new wooden floor installations, 39% of new master suit installations, 36% of new bathroom additions, 35% of complete kitchen renovations and only 11% of HVAC replacements. Cost didn’t seem to affect the choice much with the top 6 projects costing between $1,055 and $40,000, and the bottom 6 projects costing between $3,598 and $103,844. The most expensive project was fitting a new master suite at $103,844, after that, a new bathroom came in at $42,233, an attic conversion came in at $37,500, a kitchen upgrade and kitchen renovations both came in at $20,000. Prices then dropped to below 10K with a basement conversion coming in at $9,000, new wooden floors at $4,500, and an insulation upgrade at $4,000. An HVAC replacement cost $3,598, a closet renovation was $2,400 and the cheapest project was refinishing hardwood floors which came in at $1,055. Looking at the data we can see that cost had little effect on whether a job was popular as a DIY project. Rather it seems that the jobs that require more skills, and experience were left to the professionals, and the more straightforward, cosmetic jobs were taken on by DIYers. The last six projects including HVAC and bathroom renovations were less popular as DIY projects. These kinds of jobs require special training to complete and often include electrical, plumbing, and roofing or structural changes. Apart from cost and certification these projects can often be dangerous to carry out by an amateur and are best left to the pros. However, the first six projects included jobs like closet renovations and hardwood floor refinishing and were more popular projects to complete as DIY jobs. 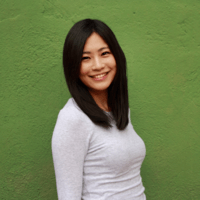 This is possible because they entailed at most light demolition, nonstructural, and cosmetic changes which are perfect for the home enthusiast. There is no clear line dividing projects that were more popular as DIY and those that were more frequently completed by contractors. Each project should be considered carefully based on its particular requirements. If you have any doubt in your own abilities it is often better to leave it to a professional, as a failed job and the following repair could end up costing far more than if a contractor had simply done the job from the start. Before starting a DIY project ask yourself if it is safe, if you are willing to put in the time to complete the project, if the cost saving is worth your time, if you feel confident your skill level is sufficient and you can, practically, do it solo, and finally if you’re sure you do not need a permit for the completed work. If the answer is yes to all of the above, then go ahead with your exciting new project. If there is even a small no, then consider turning to a professional.